by the Lifeboat Foundation Scientific Advisory Board. This report was developed at the request of Richard Branson, owner of Virgin Atlantic and Virgin Galactic. This is an ongoing program so you may submit ideas to [email protected]. In this document, the Lifeboat Foundation Scientific Advisory Board answers the question of what machines and new technologies can be put on aircraft to kill germs in anticipation of a bird flu pandemic. Modern aircraft already HEPA-filter the cabin air at a high rate. 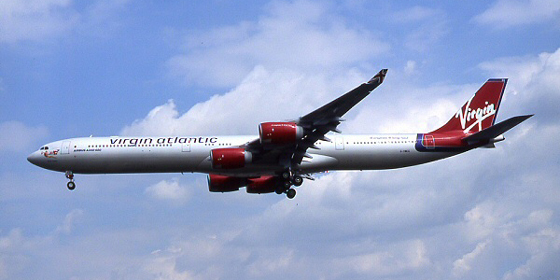 We suggest that Virgin Atlantic add a system for passing the air through an intense UV field. This technology is readily available, for example, see http://www.fieldcontrols.com/uvaire.php. Note that better filters with UV will help reduce infection spread through airplane HVAC systems, but the virus can still be spread to people in the immediate vicinity of someone who is infected. In addition to an intense UV field in the HVAC system, air ionizers could be added to the aircraft to kill most of the virus before it even entered the HVAC system. The best air ionizer technology to use is the Plasmacluster Ion technology which was developed in 2000 and is an air purification technology that disables airborne microorganisms by releasing positive and negative ions into the air. Sharp has documented that this technology is 99% effective against avian influenza virus as detailed at http://www.sharp.ca/pdf/Release_PCI_jun06_05.pdf. Simpler negative ion only air ionizers have also been shown to be useful against infections as detailed at http://www.newscientist.com/news/news.jsp?id=ns99993228. Ionizers have been shown to give people a sense of well-being. They also have the problem of ions sticking to dirt which then sticks to surfaces such as walls. Virgin’s purchase of the antiviral drug Tamiflu was a good idea. If a bird flu vaccine becomes available, it should at a minimum be purchased for all Virgin Atlantic employees. It is expected that all the publicity about a bird flu should cause the marketplace to generate bird flu vaccines on a fairly timely basis so it should not be necessary for Virgin Atlantic to do more than purchase the vaccine when it is available. Virgin Atlantic could implement rapid pre-flight passenger screening technology. Rapid detection systems like this are already in development, such as http://www.biomedcentral.com/1471–2334/5/53/abstract which showed virus detection times of under 15 minutes. Note that available methods detect antibodies against the viruses so this would be an imperfect screening method. The Spanish Flu Pandemic, also known as the La Grippe, was an unusually severe and deadly strain of avian influenza, a viral infectious disease, that killed some 25 million to 50 million people worldwide in 1918 and 1919. It is thought to have been one of the most deadly pandemics so far in human history. The United States Government, with its great wisdom, has now published step-by-step instructions on the internet on how to recreate this virus. This information was generated from tissue samples from people who died of this disease over 85 years ago. Within a few years, this virus will be released by someone and will likely impact air travel. We recommend that Virgin Atlantic hire a company to generate a vaccine for this virus and to bill the U.S. government for their efforts since the U.S. government will be the culprit of this disease outbreak. Generating this vaccine could be a good PR move for Virgin Atlantic, particularly if the disease outbreak proves to be severe. If a nasal vaccine was developed in large enough quantities for your customers, this could be a good way to attract customers when this disease outbreak occurs. As a long-term solution, we recommend that you call for government support of our $100 billion BioShield program to develop a rapid response system to combat new biological viruses, whether natural (like bird flu) or unnatural (like a bioterrorist weapon). This program would develop more modern approaches to vaccine design and production, for example eliminating the need for using eggs to produce vaccine. Most importantly it would develop a system that could rapidly create an RNAi medication for new viruses.